Chipped countertop? Cracked? Dull or lost its original luster? Perhaps you do not need to replace your countertop. Let us evaluate the damage and provide you with an honest and speedy estimate. Divine Design Stone & Cabinetry was founded more than 15 years ago and provides Stone Polishing & Repair Services. As installers of Granite, Marble, Quartz, and Onyx countertops, Divine Design has acquired a reputation as a company specialized in its repair and re-polishing of stone. With extensive experience in polishing treatments of Granite, Marble, Quartz, Onyx, Limestone, Travertine and others. Whether it is a business or an individual, our mission is first and foremost to provide you a quality service with a highly professional finish. Consult with us, and we will give you the most accurate solution, even for the most delicate and intricate of projects. The Divine Design countertop repair specialist consists of a team of highly qualified technicians, who will provide a solution to any damage that has occurred. In each case, the fastest and most suitable solution to your needs, carrying out installation and/or maintenance or repairs with a strict sense of responsibility and professionalism. Personal attention, considerable attention to detail, if you want your countertops to be repaired by true professionals, call Divine Design Stone & Cabinetry. 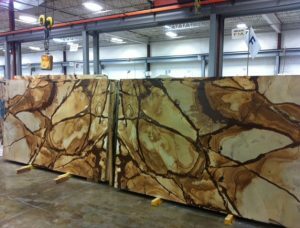 We are the Tri-State specialists in countertops.